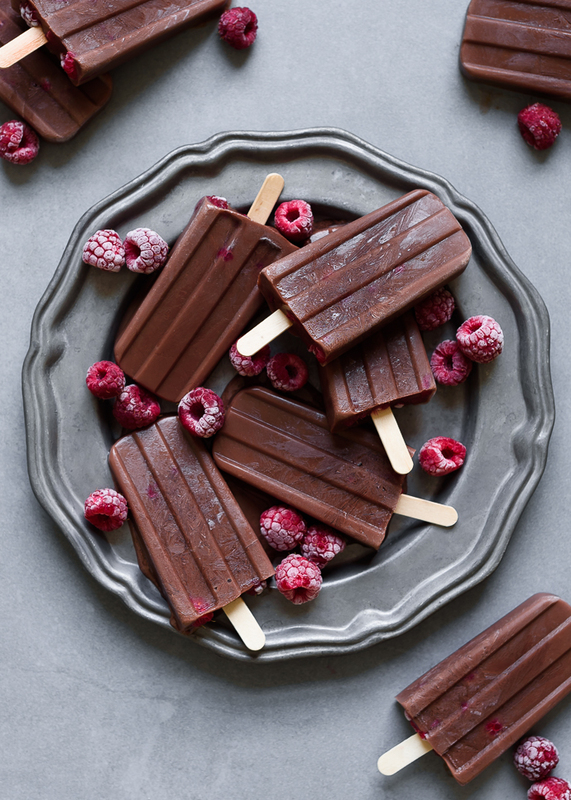 Healthy chocolate almond milk popsicles studded with raspberries – an easy and delicious way to cool off this Summer! ...or the easiest 2-ingredient popsicles you'll ever make. This past weekend, it was, empirically, too hot to think, let alone cook, or dare turn on an oven. When the inside house temperature creeps into the 90s (we are sans air-conditioning here in the PNW), I become ill-equipped to function like an adult. So the weekly laundry and housecleaning was neglected in favor of an escape down to the Sound to splash around in the cool water with the pup, and – the most important work I managed all weekend – making a quick batch of these healthy ice pops. 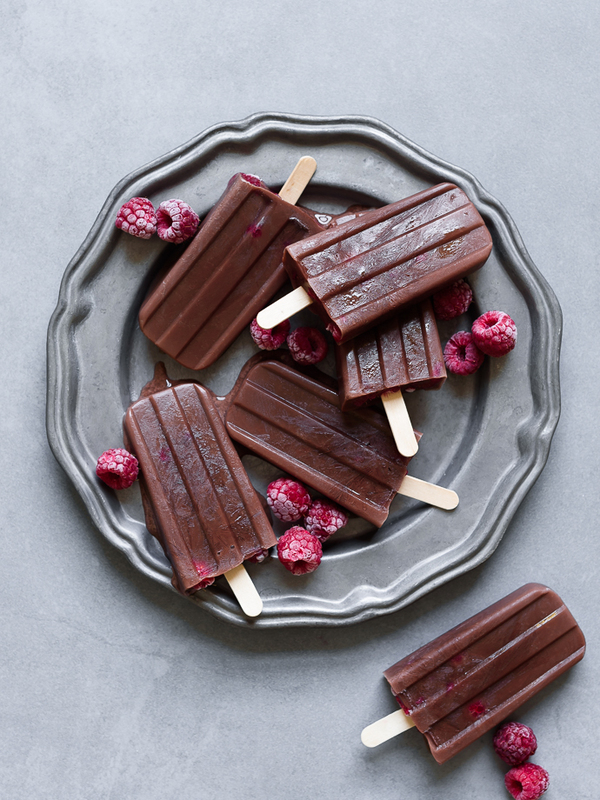 These easy chocolate almond milk popsicles – dotted with vibrant red raspberries – totally fall into the non-recipe category, and that's how I prefer it once things begins to really heat up, Summer produce overflows in the market, and the days stretch longer and longer into the evening. 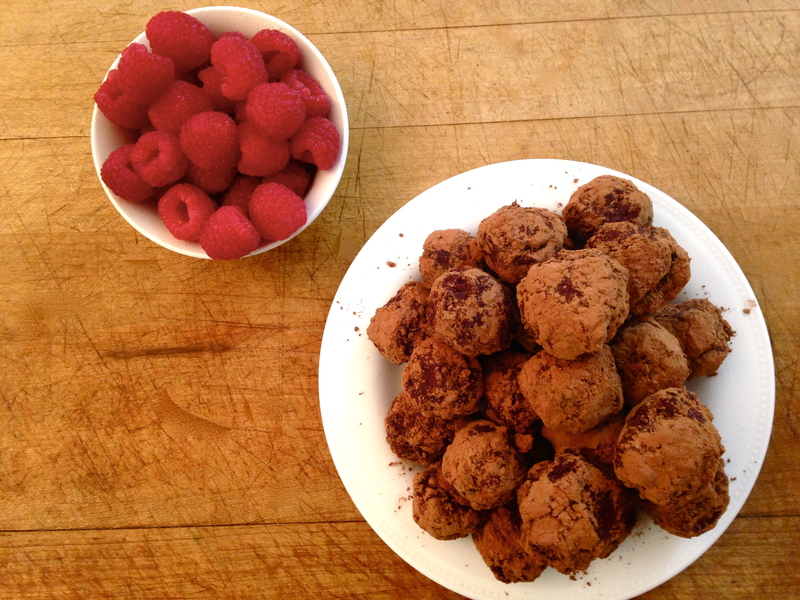 Creamy (store-bought) chocolate almond milk, and fresh or frozen raspberries, are all that you need to make these sweet frozen treats, which come together in just a few minutes, and couldn't be easier. The hardest part is waiting for the pops to freeze. They're also naturally vegan and gluten-free, and perfect for hot, hot Summer days. 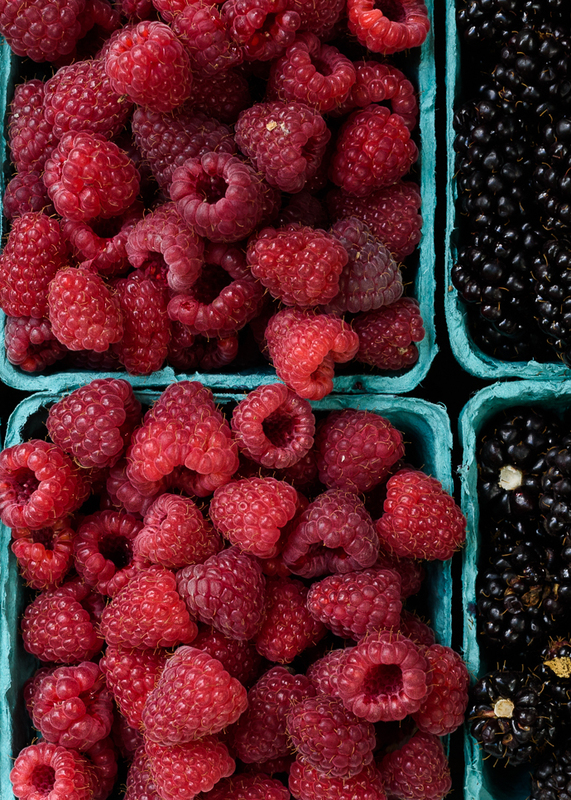 Divide the raspberries evenly between the popsicle molds. Slowly pour the almond milk on top, until just below the fill line. Freeze for 30 minutes, then insert the popsicle sticks, and continue freezing for 4 hours, or until firm. Chocolate cashew or coconut milk would also be great substitutes for the almond milk.